Rachel Cochrane was delighted to be part of Crossing the Tees book festival run by the library services across the Tees Valley: Hartlepool, Middlesbrough, Darlington and Stockton-on-Tees. 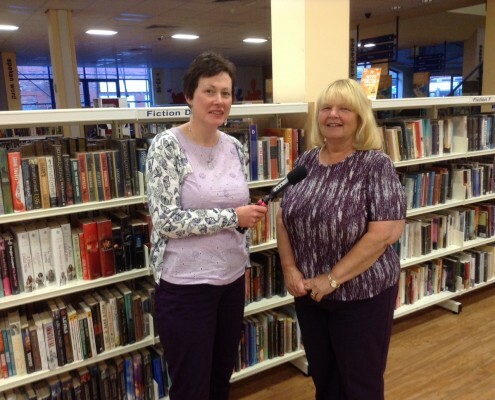 For this Rachel held 3 sessions in Hartlepool Central Library with a group of writers who regularly meet there. She explored the theme of ‘breaking boundaries’ and the group produced a wonderfully eclectic and diverse interpretation of their brief through poetry, story and their own personal recollections. Rachel recorded the writers and released a series of online podcasts of their creative work to increase awareness of the forthcoming festival. In fact so much fantastic content was generated that we also had enough to release further podcasts after the festival! Underwriters’ Project, Live Theatre Crossing the Tees Book Festival Podcast: All Aboard!